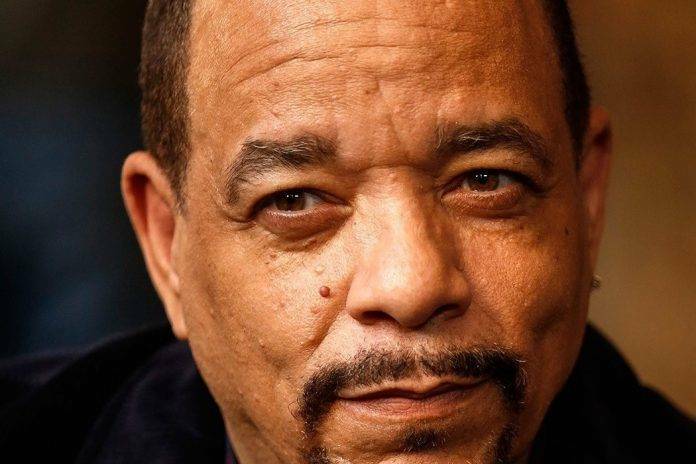 Iconic rapper Ice T is 60 today. People get their musings in the oddest of places, and Ice-T doesn’t surprise me. He was inspired by Iceberg Slim, a ghetto poet/novelist. It was Ice-T who inspired hip-hop. That’s right…as a musician, Ice-T was extremely vital to the implementation of glorified gangsta music or what was referred to as hip-hop music. Ice-T was a hard hitta with his deeply seeded sound coming from the heart and his own eyes. He is more than a rapper; Ice-T is an icon. Who Is He and Where Did He Come From? Tracy Marrow sets the stage as he was born on February 16, 1958, for what was to become of a baby boy straight out of Newark, New Jersey. After his parents died [both of heart attacks] Ice-T went to live with his aunt in South Central LA, but more to the point, he grew up in Crenshaw. He and his pen became best friends while attending Crenshaw High School. However, it would be gang members to distract the young writer. Although some believe he was never actually in a gang himself, he would engage in criminal activity. According to Biography.com, Ice T graduated high school [with good grades] despite his relationship with his “friends.” It’s funny he admits to faking skipping class. It reveals it was really an attempt to get away from them! Well, we do what we gotta do, right? Consequently, Ice-T became noted for his controversial lyrics in 1992. That was the year “Cop Killer” dropped. Man… the lyrics in this rap were brutal. It drew so much attention the President got in on the criticism. Everywhere Ice-T went, he received a raised eyebrow or a total thrashing. After he left high school, T joined the Army. (Ummm, yeah. I’m surprised, too.) However, what’s not so surprising is that he severed the relationship after his tour of duty; citing four years was enough for him, he was no follower. In fact, he was a leader. So in 1983, he returned home to attempt to do music, but he was led astray. The street life called him and he was doing well but something happened as it always does to change the game. The rapper was involved in a car wreck that made him look at life differently. Ice T reached a turning point in his life. A real friend reminded him that he had a “chance” to do something significant in life and that one word was so profound and surreal, he changed his ways. Ice-T debuts his first album in 1987 called Rhyme Pays. The saucy rapper started putting together stories about “that street life” he knew all too well, hence “6 in the Mornin’” and “Squeeze the Trigger”. Oh my goodness, the “good” people didn’t like that either. Tipper Gore’s principal encounter with the organization, the Parent’s Music Resource Center, mandated that a warning label is put on his albums to warn of its sexually explicit content. Not only that but the violence as well. It wouldn’t be long before everybody knew who Ice-T, the rapper was. He was all over the mags, but Rolling Stone, in particular, displaying a police officer’s uniform. 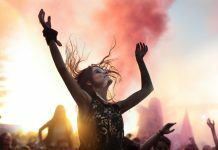 He lost financial associations and business relationships suffered from the airplay of that song. Time Warner would ask fellow partners to remove Ice-T’s album for their shelves. After a mutual arrangement was made, Ice-T cut ties with the company in ’93, taking with him five gold albums. The spellbinding Ice-T has achieved great levels since his street days. Who missed his performance in New Jack City? If you did, drop and give me 50. That was a good flick in which he played the part of a law enforcing officer. Shortly after New Jack, he had roles in Ricochet , Trespass  and Johnny Mnemonic . He’s had magnanimous success as Detective Odafin Tutuola in Law & Order: Special Victims Unit . Plus the infamous rapper appeared in The Peacemaker: L.A. Gang Wars, a reality show and Ice Loves Coco which aired on E although it only lasted a couple of seasons. Since 2002, T and his wife, actress, and fashion model, Coco Austin, have been living well. The couple realizes that haters will be haters and throw stones. Ice T and wife, Coco Austin in their early days. There have been unjustified rumors of the couple throwing away their wedding rings, but she, Ice T and Coco baby, Chanel Nicole, are happy! Chanel was born November 28, 2015. Coco insists their relationship is fine and life is beautiful in 2018! Ice T has an ex-wife [Darlene Ortiz] and two children with her, Letesha Marrow and Tracy Marrow Jr.
Keep up with T on Twitter as he airs his new show, #InIceColdBlood coming in April 2018 on Oxygen.